Update! 15 May, 2018 The promotion has ended! 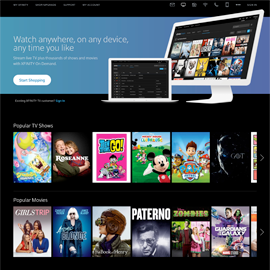 Whilst HBO programming is available to a whole wealth of countries at the moment HBO GO is only available to those that reside in the United States. This is a shame as HBO really has a lot to offer, especially in the TV show department. There is a way to circumvent this blocking though. Let’s see how you can watch HBO GO outside US. Bummed out cause you can’t enjoy DirecTV Now outside US territory? We understand – the platform is really amazing, and not being able to use it because you live outside the US can be very upsetting. 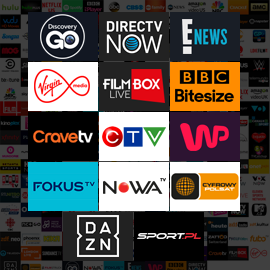 No need to worry, though, since we’ve got good news – you can actually unblock DirecTV Now outside the US quite easily, and we’ll show you how to do it in this article. Update! 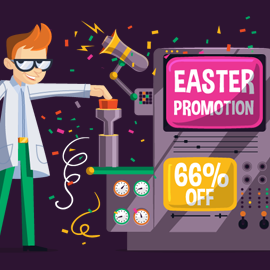 3 April, 2018 The promotion has ended! Update! 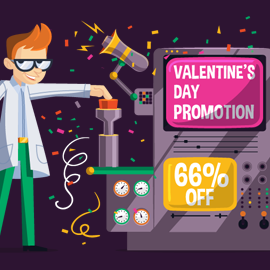 15 February, 2018 The promotion has ended! 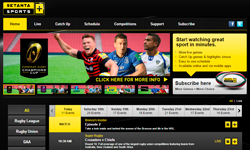 CWTV is one of the USA’s foremost channels operating today. However, due to geo-restrictions, it’s likely that your access to this great broadcaster is severely limited. That’s where we come in. 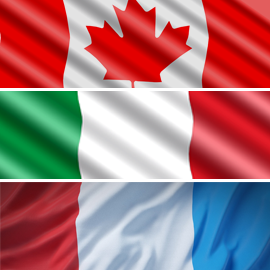 With SmartyDNS, you can easily watch CWTV live, no matter what country you’re watching from. 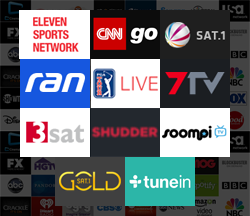 Read on to find out exactly what you can expect when you watch CW live stream broadcasts, and how to ensure you get the most out of this top channel. 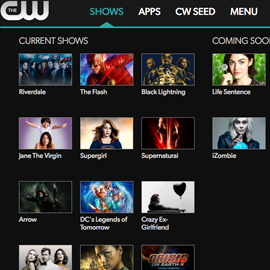 We will tell you exactly how to watch CW online with zero stress. We all have YouTube – the most famous video-sharing website. Besides the fact that we can upload, view and share videos, most of us more likely search on YouTube various music videos, including our favorite artists latest releases and music videos, live shows, concerts and so on. But what if there is something that can bring you all that without making that search? A media website that is focusing only on music industry and it’s their aim to bring you everything about Show Business and nothing else. There is such a media website and it’s called Vevo but unfortunately it’s geo-restricted. 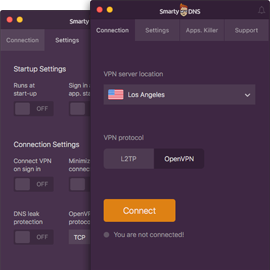 We want our users to have the best possible experience and that starts right from the moment you decide to purchase our VPN and Smart DNS services and need to pay for them. Cartoon Network is so radically different throughout the world. 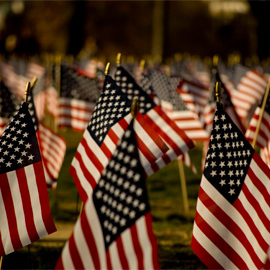 Many shows are missing from various regions or are broadcast way later than their American equivalents. 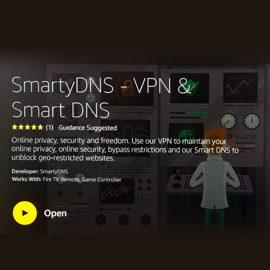 Thankfully SmartyDNS can help nullify these borders and get Cartoon Network unblocked. Reports were made by non-profit privacy organisations that the UK GCHQ is collecting social media data from potentially millions of Facebook and Twitter accounts. According to the documents published by the organisation, the agency is collecting and accessing information through databases of private companies. We have amazing news for our customers again! 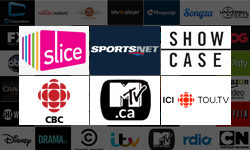 SmartyDNS users can now use our services on Android TVs without getting through all the hassle of a manual setup! All you need to do is simply download the app and start using it! It probably happened to you too, like it happened to thousands before you. To get excited about starting to watch a show or to try and register an account on a music streaming platform only to find out that users from your country are not accepted or have limited access to their content. 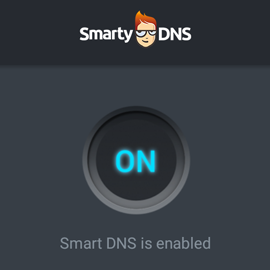 SmartyDNS unblocks 12 new websites! 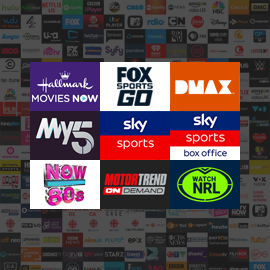 We love to bring good news to our customers and that is why it’s a great pleasure for us to announce the fact that you can now unblock 12 more video streaming services with us! A web-hosting and domain registration company, DreamHost, is now fighting the Justice Department’s warrant for information on people that have browsed one of the websites hosted by them and organized a protest against President Trump’s inauguration. 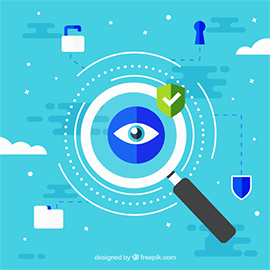 We like to tailor our services as to meet all expectations and this is why at SmartyDNS you will always find new and improved services every time. 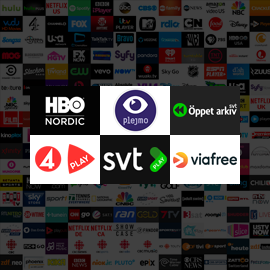 And because we strongly believe in online freedom for everyone, we are proud to announce that our users have now the possibility to unblock websites from Sweden. 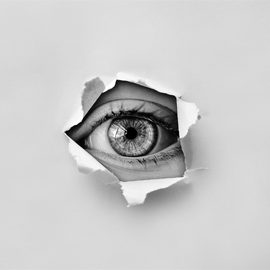 In the wake of recent UK terrorist attacks, the Australian Government plans to increase internet surveillance by compelling big corporations like Google, Facebook and Apple to give security agencies full access to encrypted communication in alleged counter-terrorism actions. We are very happy to announce the release of a series of updates on our SmartyDNS App designed for the macOS users. 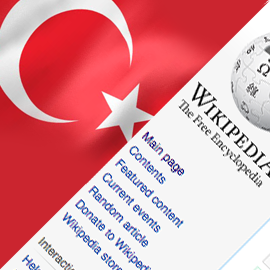 Following the Russian model, the Turkish authorities are increasing their efforts to consolidate power through online censorship culminating with the recent ban of the Wikipedia website. 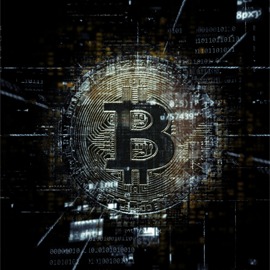 Officials have stated that the block was carried on under a law that allows filtering for national security and public safety purposes. 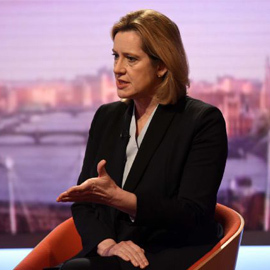 The British Home Secretary, Amber Rudd, has stated that she believes that end to end encryption, particularly for messaging services such as Whatsapp, should be accessible by authorities. These comments were made shortly in the aftermath of the terror attack in London when an individual drove along the Westminster Bridge killing three people and injuring dozens before crashing the car and getting out to stab a policeman. The assailant was then shot dead. Trump’s slogan “Make America great again” became, among others, make America a great privacy invader. We say this because of some recent news that concerned us deeply. Senate Republicans voted a law against online privacy that gives Internet Service Providers the right to sell their clients browsing activity without their consent. Yes, you read it right. We’re sure you’re as happy as we are when we have something new and real good to share. Therefore we bring you the latest and the greatest news on what we’ve done here for you all! The great news is that with the latest update of our Android application, you’ll have your Smart DNS service back within the application. 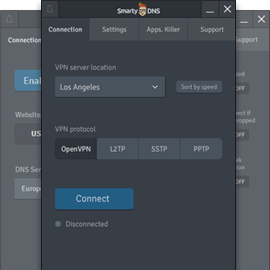 That means that now you will have both VPN service and Smart DNS in one application. From now on, you don’t have to do it manually in order to set up Smart DNS on your Android device anymore. 14 new media websites unblocked! What does it take to become more and more satisfying service in any industry? The answer is: listen carefully to customers needs, yes their needs have a lot to “say” :) What else? Undoubtedly work hard on what they request and let them get the best of what you can offer. This is the point we came to and we hope to keep on moving that way so it puts us further! It seems that, regarding online privacy, Europe no longer walks on steady ground. And the threat doesn’t come from outside enemies as you might think, but within its borders, from the same authorities that were supposed to protect it. The first country that made this dangerous and controversial step was UK with highly criticized IP Bill that will allow Police and government agencies to access private date of its citizens any time they see fit. And now is Germany’s turn. Interior Minister Thomas de Maiziere proposed a bill that will limit the right of the German citizens to protect their online privacy. 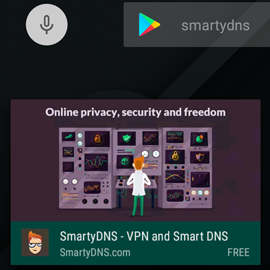 Good news for our SmartyDNS users and for all of you online freedom and security seekers! 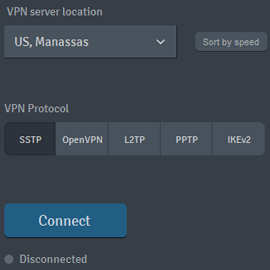 We’ve decided to join Smart DNS and VPN into one single great service. From now on we will deliver a complete package of features that will fully guarantee your privacy, security and anonymity on the Internet. If you already are a customer, you will get the upgrade without extra payments. 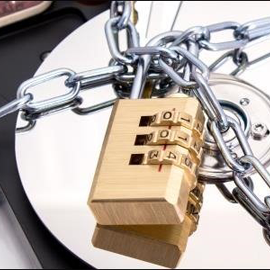 If you are a new online security enthusiast, don’t worry, we have a great deal for you also: you can access our upgraded services and pay the same old prices. 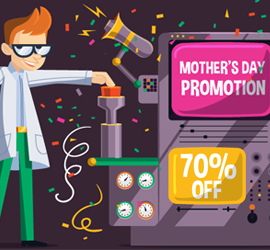 Just check our promotions! Hey, SmartyDNS family members! We’ve been working on your requests and that makes us happy, meaning that the service works just fine with you all. We are back with great news for all of you. We keep adding regionally restricted media websites to our list of unblocked media websites, so it becomes bigger and bigger each month. 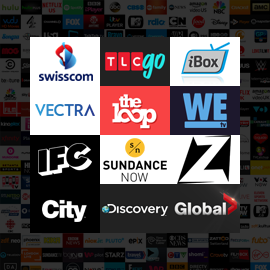 Browse the list and find your favorite media website in order to watch shows and many more that you have missed or are still missing. Check the list of newly added websites below. We have great news for you all! Our list of unblocked websites is getting bigger and bigger! Now it’s time for Zattoo Switzerland to join the media websites that we have already unblocked for you. Zattoo Switzerland – the much waited and one of the biggest European media websites, it’s now available and you can unblock it when being outside of the restricted area. 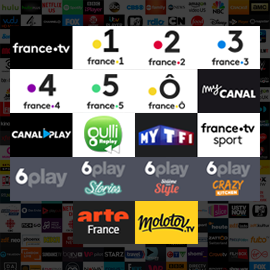 Zattoo restrict their service to various regional boundaries, but through Smart DNS service, the usefulness of Zattoo Live and catch-up TV can extend to a real global level. 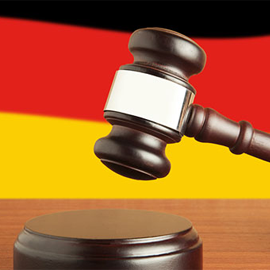 4 US and 8 German new media websites unblocked! After an intensive and great partying time within the holiday season, we are finally back to work. Always trying to do our best on getting even more regionally restricted media websites unblocked. We are excited to announce that we unblocked quite few more media websites and have added them to our unblocked websites list. This time we focused on unblocking US restricted media websites and some more German restricted media websites. Great news again! There are so many reasons to be excited about, one of which being our new surprise for you. 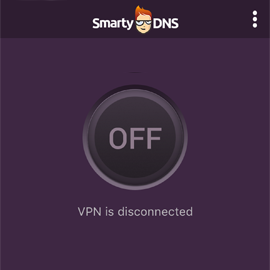 Besides the holiday season that is about to warm our hearts and homes, we are pleased to announce the launching of VPN service that will make you enjoy SmartyDNS even more! We continue “flooding” our news feed! Everything we can only do is make our customers happy! 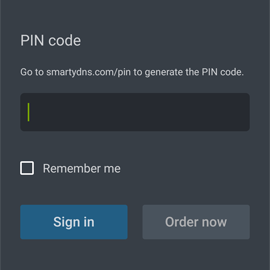 SmartyDNS application now available on Android! Dear SmartyDNS users, we are pleased to announce the launch of our brand new Android Application! Due to tremendous number of your requests on releasing Android application, we have taken in consideration your desires and dedicated some more time and energy to make it happen. 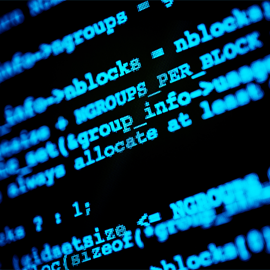 13 new media websites unblocked! 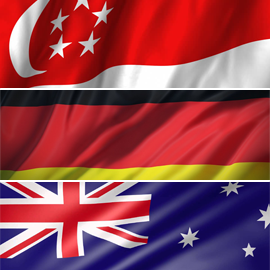 We continue to expand our list of unblocked regionally restricted websites. It grows thanks to your requests and suggestions. 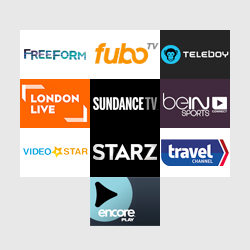 Now you have even more to watch, because your access to favorite media is now wider. There are more news to watch, more music to listen to, and more TV shows to enjoy. That’s because more geographically restricted media websites unblocked by us, including five from US, five from Germany and also three Polish media websites. Being busy and working hard on satisfying our customer’s needs, finally we’ve came up with 9 new regionally restricted media websites that all of you were so much expecting. 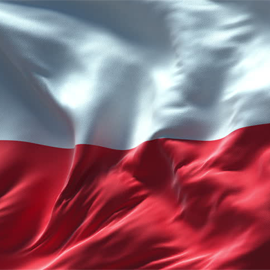 Now you can unblock 5 more media websites from US, 1 from UK and another 3 from Poland. There is a little for each of you, we’ve unblocked content including music, sports, and kids entertainment. We’ve discovered another smart way of blooming our relationship with you, valued customers! Well, the fact that working a lot on improving our service is not a new thing. Neither is the fact that it brought us to the point of being able to bring you more and more space on Smart DNS service that you use. So let see what news we’ve got for you! 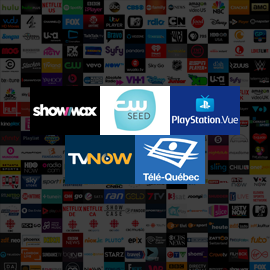 We have added one more device to our list of supported devices and all SmartyDNS users will be able to access regional restricted media websites from it! 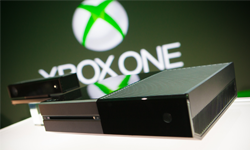 We are so exited to bring you Smart DNS on Xbox One! Smarty DNS has a perfect opportunity to show its customers how valuable they are! We have surprises for all entertainment lovers! This time we’ve got great news for all sports fans!